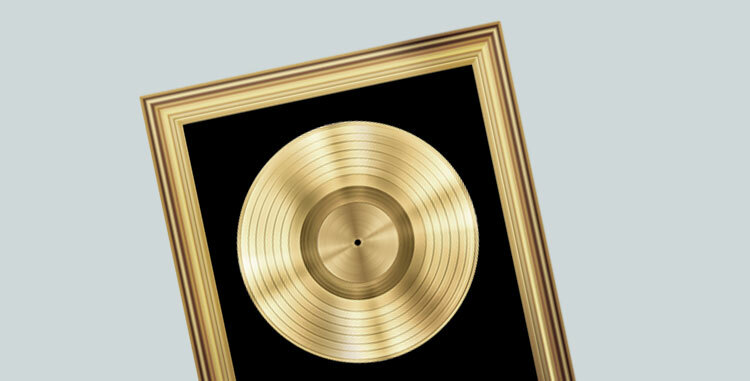 Limited Edition Gold Record Art plaques or frames. We offer the most exquisite and extensive line of Gold Record Art and Memorabilia Collectibles on the web. Hang a gold record on your wall and this will start any conversation. if you are fan of Elvis Presley, Marilyn Monroe, Kiss, U2, Metallica or any other artist, there's a big chance we have a gold records for you. It is also possible to custom make a gold record from you favorite artist band, or maybe even your own band.